Clearly a lady of multiple talents, I’m super excited to introduce Steff Metal to you today, a lady who is genuinely doing something new and exciting within the wedding industry in New Zealand. I’m Steff Metal, a freelance writer, artist, blogger and heavy metal maiden living in New Zealand with my cantankerous drummer husband and our medieval sword collection. 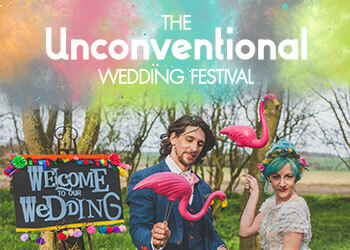 I run three websites for people in alternative subcultures – Steff Metal (a heavy metal magazine), Grymm & Epic Copywriting (copywriting and business solutions for alternative businesses) and Gothic Wedding Planner – a blog and ebook dedicated to helping alternative couples plan their weddings. My work ranges from copywriting for steampunk corset designers to blogging for companies like Lip Service and writing features in tattoo magazines. I’m about to launch a webcomic for heavy metal cat lovers, and I’ve recently been appointed a NZ wedding celebrant with a specialty in gothic, pagan and alternative wedding ceremonies. I’m based in New Zealand. I’m only licensed to perform weddings in New Zealand, but I’m blessed to have an amazing group of readers and clients from all over the world. Wow, you sound like a very busy lady! How did you get into this kind of work? I never wanted to do just one thing for a job. I wanted to be a writer AND an artist AND an archaeologist AND an advocate for people with disabilities and … everything! After a failed career in archaeology (no one seems keen to hire a blind archaeologist – ah well, their loss!) I started freelance writing and found I really enjoyed being able to write on a variety of subjects. I used to run a small-time alt. wedding blog, but I wasn’t giving it my full attention, and it fizzed out. I knew I wanted to blog – I just hadn’t found the right topic. I wanted to write about heavy metal, but all the metal blogs I read were a) written by men, b) focused only on the music and c) were often quite negative and snarky. In 2009 I launchedSteff Metal, a blog about the heavy metal lifestyle. Instead of just reviewing albums and doing interviews, I talk about travel, fashion, books, movies … I even run an advice column! Steff Metal has been hugely successful. I got the blogging bug big time and re-launched my old wedding blog as Gothic Wedding Planner. I was still working full time making Braille books, and freelance writing on the site. I’ve since discovered a talent for copywriting, so added that to my repertoire, focusing on those small alternative business I love the most. I became a wedding celebrant after a conversation with a girlfriend. “I don’t want to have just anybody perform the wedding ceremony,” she said. “All the celebrants I’ve talked to stare disdainfully at my tattoos.” I said I could see what the requirements were for becoming a celebrant, and she was so excited by the idea I filed the application the next week! How do you differ from others in your field? I KNOW alternative. I’ve been an active member of the heavy metal, gothic and various other alternative scenes for over 10 years now. I understand the aesthetics and lifestyle and I’m never going to call your ideas tacky, weird or macabre. What are your biggest influences and whose work do you really admire? I am inspired by ordinary people doing extra-ordinary things – whether that’s single mum’s creating jewelry in their spare time or university students running non-for-profits instead of partying on the weekend. My husband is one of these extra-ordinary people – you can’t move in our house for all his creative projects and mad ideas. I really admire bloggers like Rock n Roll Bride and Gala Darling, who make a living doing what they love and never compromise on their ideals. Aww thanks! So who would be your perfect client? People I’d love to be friends with in real life! The ideal clients are the people who can teach you something, even as they’re learning from you. I especially love working with brides and businesses in my subculture – they always have such crazy stories to tell! You sound very busy! How many weddings do you do a year as a celebrant? I’ve only been a wedding celebrant for a month, and I currently already have 4 weddings booked, with several more enquiries pending. Weddings are such creatively charged and highly personal affairs, and it’s an honour to be invited to be a part of that – whether that’s as a celebrant, an author, or lending a friendly ear. Why do you feel your business is perfect for a Rock n Roll couple? I’ve been in your shoes before. I know what it’s like planning a wedding people perceive as weird. I’ve dealt with the people who stare at me in public and taunt me about who I am. I get it, and I think there should always be a place or person you can go where you can feel comfortable – that’s the concept I’ve built my business around. Can you give an idea of price range and what you offer for this? My fee for wedding celebrant services is currently NZ$70, plus travel expenses, and I can travel anywhere in NZ to perform a wedding ceremony. At US$19, the Gothic Wedding Planner is also pretty affordable. My small business copywriting rates start at US$45 a page. In the last six months my business has been crazy intense! I’ve had some amazing opportunities cross my inbox. Definite highlights for me have been organizing the first Gothic Wedding Planner photo shoot with some amazing local photographers and models, and working with Sheri Moon Zombie (Rob Zombie’s wife) on her clothing line! Aside from these, the real highlight is meeting hundreds of talented, creative, intelligent and kind metalheads, goths, punks and all-round awesome folk. Wow thanks Steff, it’s been great chatting to you today! 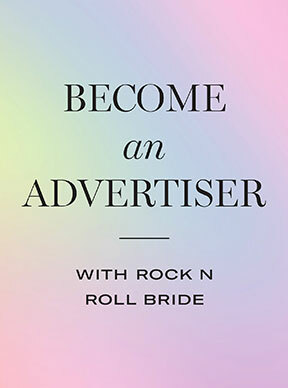 As a special offer to Rock n Roll Bride readers, Steff would like to offer her Gothic Wedding Planner ebook at the discounted rate of just $15 (USD) Discount is valid for one week, until midnight on Tuesday 25th October 2011. Click here to order yours. 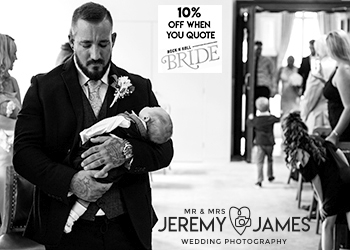 Steff would also like to offer any Rock n Roll businesses out there 10% off her copywriting services. Simply email Steff on steff@steffmetal.com, quoting Rock n Roll Bride when you enquire! Some months ago I bought her GORGEOUS Gothic Wedding Guide. And I adore her metal lifestyle blog. It’s hard to be a rock/metal lady when everyone around thinks you’re weird. But it’s not weirdness, it’ being different. And this really talented (and funny in her writings, and wit and cool) Stef make you feel at home, I had the chance to write her and she was so helpful. And cool. I know I’m repeating, but she’s really one of a kind. Steff is an amazing person, she’s funny, creative, organised, and has the most awesome heart of any person I have ever met – I’m not just saying that because she’s my friend, Steff does not have a judgemental bone in her body and I have never heard her say anything negative… ever! That’s what makes her incredible at what she does. All of the above is reflected in Steff’s writing, art and all the other amazing things she does. We have the pleasure of having Steff perform our wedding ceremony in November and we also attended her wedding which was completely amazing and so much fun! I am so pleased to have someone perform our ceremony who completely “gets” us and our quirkiness! I’m so proud to be in the same industry as this lady, she officially rocks. oh wow – most amazing style Ive seen in a long time! her wedding planner book is amazing! we are having the honor of using steff as our celebrant… we cant wait!! !